I told you (last time) that the weather had gone strange and now, here we are, on the 10th October, with sunshine and temperatures of 21 degrees C! I’m sitting in my ‘cave’, with all the doors and windows open, the dog lying next to me on the sofa (she’s allowed on it in here AS LONG AS she waits for me to put the blanket down) and about a million ladybirds crawling everywhere. Have you got them too? Apparently, they’re searching for warm spots in which to hibernate! I’m not sure if that’s cute or creepy (crawly). And talking of ‘Ladybirds’, do you remember ‘Play With Us’ (1a)? I think it was the first book I ever read. It’s certainly the first one I remember and as it’s aimed at 4 – 5 year olds, that’s probably about right. Ah, Peter and Jane and all that. When I Googled it just now and saw that cover, I was instantly transported back to my childhood. I can even remember the feel of the hardback cover in my hands and my fascination with that butterfly. Of course, there’s a new range of ‘adult’ (not that kind of adult!) Ladybird books now, which are really good fun. (‘The Midlife Crisis’, ‘The People Next Door’, ‘The Hipster’ and so on – and they all use original Ladybird illustrations). This time next week – all being well – I’ll be at Tŷ Newydd, which is the National Writing Centre of Wales – on a Writing Popular Fiction course led by Alison May and Janet Gover. I am going with MY FRIEND CHRIS (who likes to get a mention) and I’m really looking forward to it! I’ll report back in full in the next post. This course is full but if you want to see what else Alison is offering over the next 12 months, there are more details on her website. I really like her teaching style – it’s relaxed but informative. (Unlike a scary teacher that my friend recently encountered on her ‘Learn to Play Bridge’ course, who asked someone, ‘Are you completely stupid?’). Funnily enough, in my post of exactly a year ago today (10th October 2017), I was blogging about a weekend writing retreat I’d just been on, led by.. you’ve guessed it – Alison and Janet. I’d also been for a boozy tour of the Cotswold Distillery but that’s not happened today. In fact, in complete contrast, I have been to Pilates. My body is a temple and all that. And there’s just time to remind you that the month-long torture that is NaNoWriMo starts in about 3 weeks’ time. I think I might do it again this year. Anyone else? This entry was posted in Blogging, Bonnie, Cotswolds and tagged NaNoWriMo. Bookmark the permalink. Have a wonderful writing holiday. Yes, it’s a course, and I’m sure you’ll have to work and study, but I’m also sure it’ll be FUN! Thanks Priscilla – we are certainly intending to have some fun! Good luck with NaNoWriMo and with your blog! Ty Newydd is a brilliant place. Have a great time – and walk down to the sea and along to Criccieth if you can. Thanks Cath – you’ve obviously been there yourself! Any other tips?! Yes, we are hoping/planning to take a walk down to the sea. Let’s hope the weather stays as nice as it is at the moment! 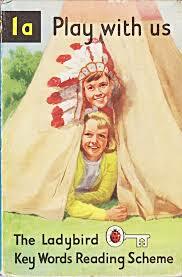 I loved the Ladybird books and always have a giggle at the ‘updated’ ones. Hope you have a great time at Ty Newydd and return inspired. I’m sure you will. Thank you, Paula. Yes, it was a fabulous week and very inspiring. I will be blogging about it in the next few minutes! As a child, I was never really ‘into’ the Ladybird books. I don’t know why. However, I have bought some of the ‘new ones’ for friends and family. By the way, we had loads of ladybirds around in the garden on Tuesday, they were all over the washing that I had drying on the line. They seem to have disappeared now. In Italy, the ladybird is a sign of good luck and they have many sizes and styles of them in gift shops. They often attach a little wooden one to a bouquet of flowers, which is rather a lovely touch I think. Those wonderful Ladybird books..I remember progressing onto the adventure series…great illustrations ( there was an exhibition of the book covers a few years ago at the motor museum, well worth the visit).. And I am reliably informed ( by my mum) that the collective noun for a group of ladybirds is “A loveliness..of ladybirds”… which seems very appropriate. Looking forward to Ty Newydd. A ‘loveliness of ladybirds’ is indeed… lovely! Thanks for a great time at Ty Newydd. We’ll have to go again one day – time and money allowing! 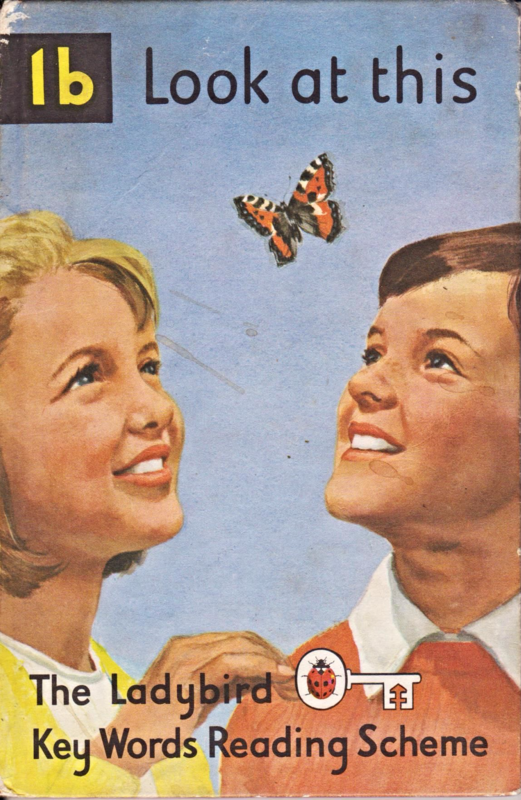 I’m sure the reason I fell in love with reading is because of the grounding the Ladybird books gave me – notwithstanding the well-meaning but ulitmately pointless introduction of the ITA scheme. Remember that? Julia, it’s funny, I can remember the expression ‘the ITA scheme’ but I can’t remember exactly what it was! Was it those funny letters and spellings, for children who struggled to learn to read? I’m trying to clear the writing decks for Nano. A small matter of finishing the editing of my last Nano effort (in 2015) and send it off to beta readers. See you there, I hope, Helen. Yes, see you there Rosemary! I have done it twice and goodness knows where the ‘novels’ are! I need to find them and read them back. Might not be as terrible as I first thought! If you get chance, have a look around the David Lloyd George museum there. It’s lovely and the walks up the river are blissful. You’re making me want to go there. Hi Susan! By the time I got your message, I was already back! But yes, we did see the David Lloyd George musuem – just didn’t have chance to go in there. Next time though, definitely! Thanks for the tip!